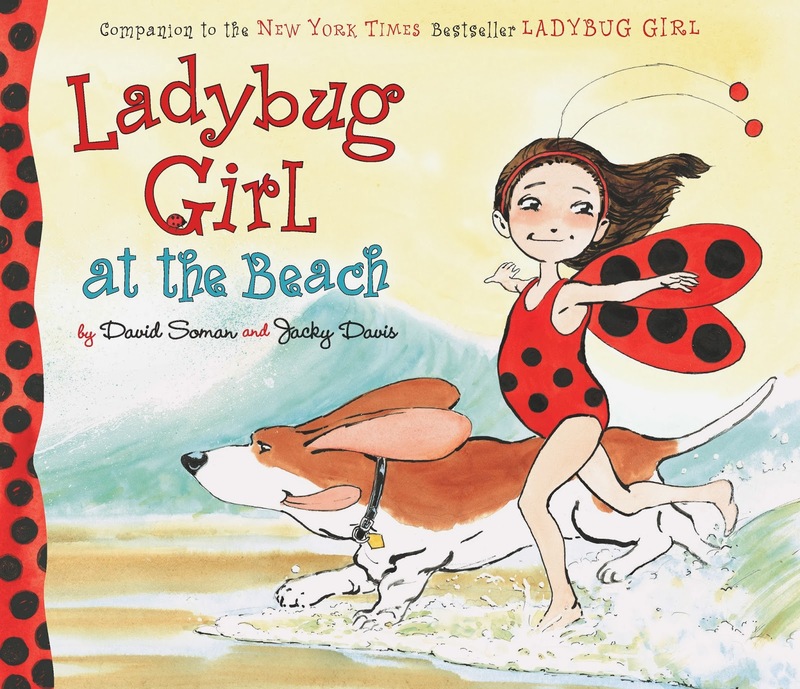 (story)time: ladybug girl can do anything! 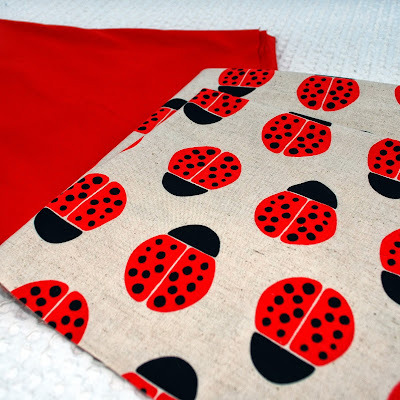 This will be a two part post – books and Halloween costumes – because the two are somewhat related in our house. I had this grand idea when E was little that we would base our Halloween costume ideas on her favorite storybooks. I wanted her to be able to pick out her own costume each year, and finding inspiration on her bookshelves seemed to me like a good idea. 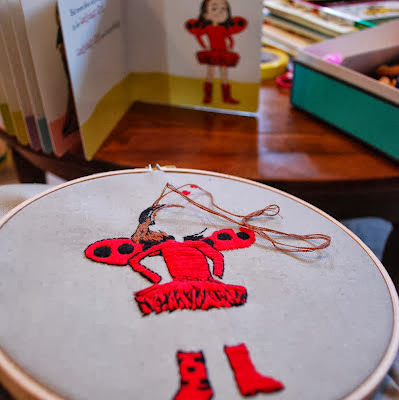 I’ll cover some of our book inspired costumes in the follow up post, but I wanted to feature the books that are inspiring F’s costume this year. … and when a ladybug balloon is made at a birthday party and offered out to the crowd, a certain someone’s hand is raised the very highest. I’m not surprised a bit about her connection with Lulu. Lulu’s exact age is never referenced, but she seems to be about four – not yet in school, but independent enough to explore her house and her yard and the playground on her own. She’s the second child, with a much older brother who is busy with his own interests and his own friends. She wants to be included, but she also does not care for her brother’s superior, know-it-all attitude, and she really does not like to be referred to as “little”. She’s got a terrific imagination, and she feels brave and gutsy and ready for challenges, but in reality, she’s pretty nervous about a lot of new experiences in her environment – the ocean, the forest, her own backyard. 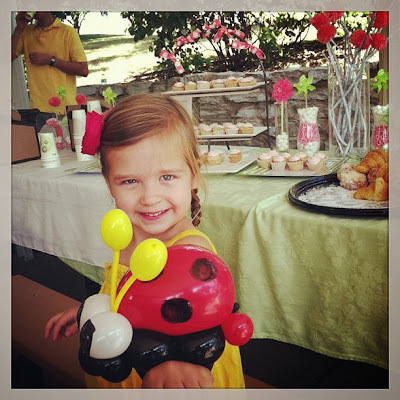 She also struggles with the dynamics among her own group of friends – she’s at that age where kids really start to form close bonds with a core group of friends with similar interests (like dressing up as bugs and grand, imaginative play) – but they aren’t quite equipped to deal with dissent when everyone’s idea for the afternoon’s play is different. 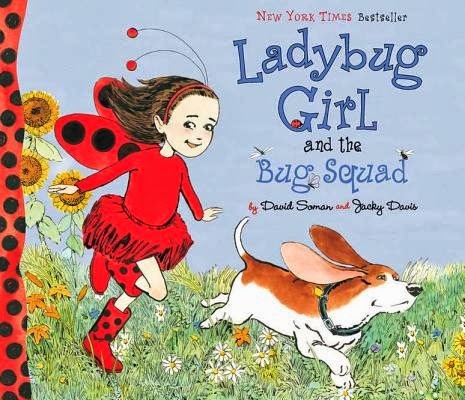 We started off with several of the Ladybug Girl board books – they are shorter books with less words, and the illustrations and themes are lifted from the longer storybooks. 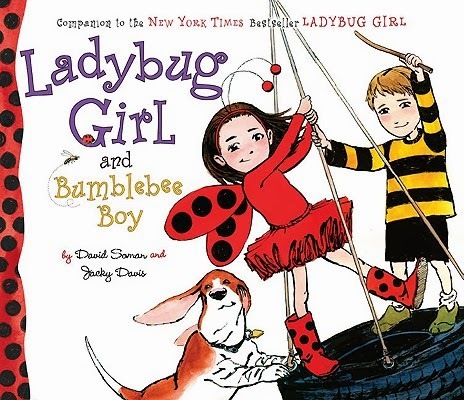 The first full length book we owned was “Ladybug Girl and Bumblebee Boy”. After that one, she was hooked. 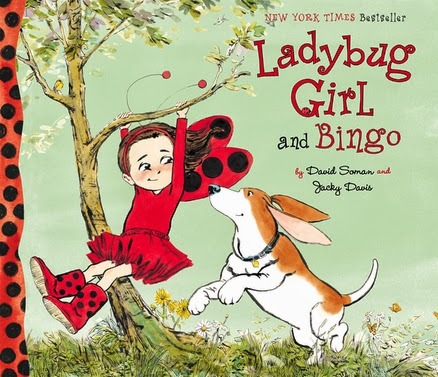 Our latest acquisition is “Ladybug Girl and the Big Snow”. 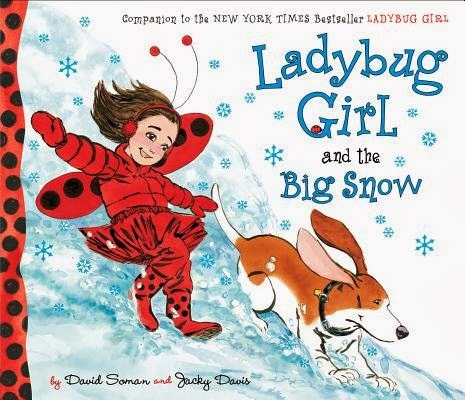 I’ve always been a sucker for a good snow book – I love the shadows and all the colors found in snow, and I found the illustrations in this book to be really well done. (Much better than the cover illustration that looks more cartoon like than the actual story inside.) I also like the focus on Lulu and her older brother’s relationship in this story. 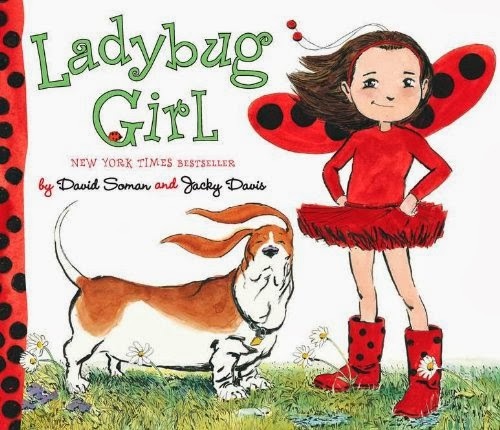 I would recommend this book for all the spunky girls in your life. Four is the sweet spot, for sure, but even kids a little older or a little younger will appreciate Lulu’s – ahem, Ladybug Girl’s – adventures.